Batting legend Aravinda de Silva who was the only Sri Lankan to reach a maiden Test century with a six said that Kusal Mendis who emulated his feat at the Pallekele Stadium yesterday had the makings of a cricketer who could reach great heights in the game. “His calm aggression shows the character of the person he is. He’s got all the material to make it big,” said De Silva after Mendis had swept spinner Nathan Lyon for six to reach his first three-figure innings in Test cricket playing in his seventh Test. De Silva scored his maiden Test century playing in his fifth Test against Pakistan when he hooked fast bowler Imran Khan for six in the first Test played at Faisalabad in 1985. When I was watching Kusal Mendis yesterday, on Fox Sports, I was reminded of Mahela too. I remembered being at Adelaide Oval, I guess it was 1998, when Mahela did a similar thing to the Aussies, in an ODI though. That was a great innings by Mahela then. This was another great innings by Kusal yesterday. Anyway, the moral of the story is that great cricketing minds (of Aravinda and myself) think alike. Ha! Ha! 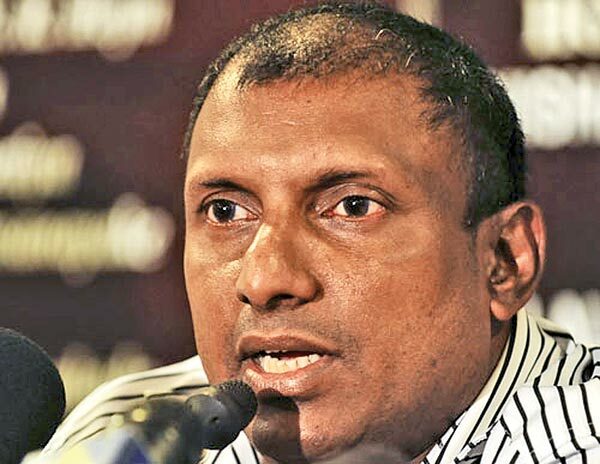 Don't agree with Aravinda. I have seen these legends are saying about Lahiru,Dimuth and Chandimal lot. but non is performing well. that is the down hill of SL team. My objection is against aravinda saying Kusal Bats like Mahela. Kusal is far better organized than Mahela at same age. Let kusal grow to be his own name. no need of comparing to past.